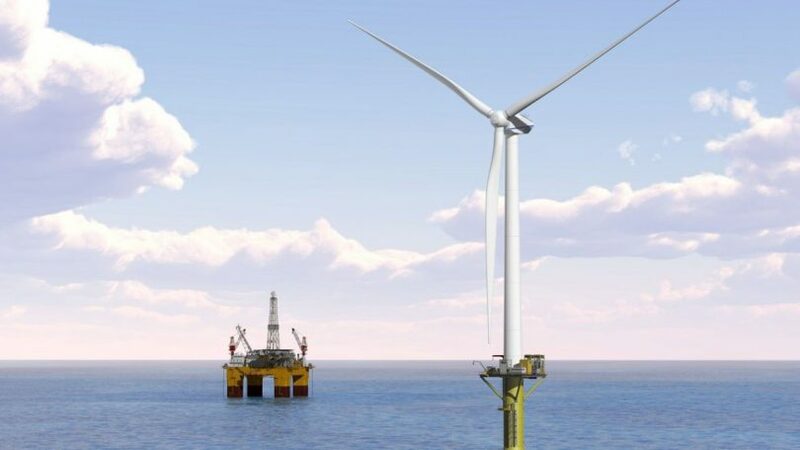 Home » Oil, gas and wind energy from the North Sea, a comparison. 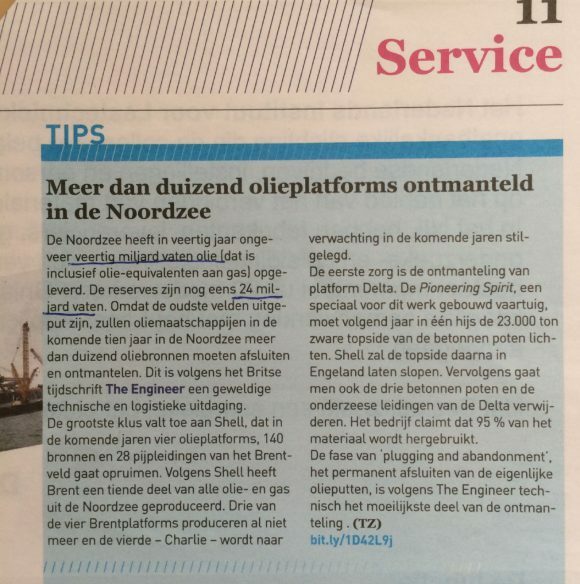 A couple of months ago I came across a short article in the Dutch magazine “Technisch Weekblad” about the dismantling of oil and gas production platforms. The oil and gas resources are running out. In 40 years time, until now about 40 billion (109) barrels of crude oil equivalents of oil and gas has been produced in the entire North Sea area. The remaining resources are estimated to be 24 billion barrels of oil equivalents. Assuming that these resources will be harvested in another 24 years, it is estimated that by the year 2040 the oil and gas sector will have produced about 390.000 PJ (390.1018 J) of primary (fossil) energy. Let’s now make an estimate of the total installed offshore wind power, which would be needed to produce the same amount of primary energy in the same period of 64 years. 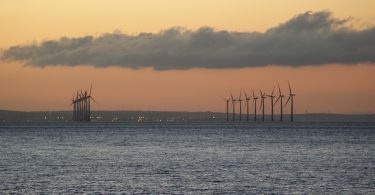 Assuming a capacity factor of 40% for modern offshore wind turbines (wind turbines with relative large rotor dimensions compared to the installed generator power (200 to 250 W/m2 rotor swept area), the total required installed wind power would be about 485 GW. This is less than 50 times the presently installed wind capacity (July 2016: 10GW of which 30% is under construction); an enormous capacity but imaginable. Given the recent tender results in the Netherlands and Denmark, it is reasonable to assume that by 2030, 150 GW (ref. 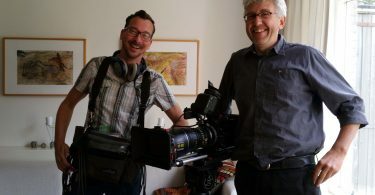 2016-10. Roland Berger: Think Act) of offshore wind capacity will be realised. 150 GW of installed wind power and 40% capacity factor could produce the equivalent of all North Sea gas and oil resources in a period of 2 centuries. 150 GW is not the end; it is a station on the way to a much larger capacity beyond 2030. On the one hand oil and gas is directly used for traction, industrial processes and heating and on the other to generate electricity with an efficiency of 40 to 50%. This means that the period of two centuries, mentioned above effectively is shorter. Contrary to exploiting oil and gas resources, which is a one time irreversible process, wind energy can be exploited limitless. Despite the differences in energy conversion chains, it is allowed to draw the overall conclusion that, taken over a long period, wind is a much larger North Sea resource than the oil and gas treasures, we managed to finish off in somewhat more than 65 years time, a period that fits into a human life!